Learning to treat recession with acellular dermis grafting can be a valuable addition to your practice skill set! Most soft tissue grafting for recession can now be done without any palate surgery. Acellular dermis is as effective as connective tissue or free gingival grafts. This surgical technique does not require difficult, tedious TUNNELING AND PIN-HOLE techniques. Acellular dermis is an effective barrier membrane when used in socket preservation for guided bone regeneration. This sets the stage for rapid bone graft maturation and accurate implant placement. 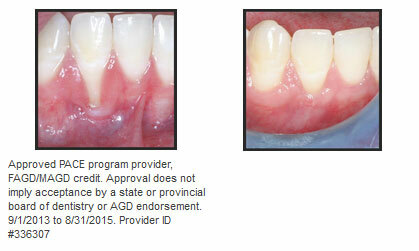 Acellular dermis generates new, wider attachment and keratinized gingiva around implants. Acellular dermis can be used to cover cervical caries lesions, avoiding class V restorations. Platelet-rich growth factors and Emdogain accelerate soft tissue healing, and will increase keratinized tissue, plus generating predictable long-term root surface reattachment. Dr. Wallace received his B.S. in pharmacy and D.D.S. degrees at the University of North Carolina at Chapel Hill, and served on the faculty in the School of Dentistry. He received his Master’s Degree with Honors in Periodontics from the Medical University of South Carolina. Dr. Wallace is an active member of the International Congress of Oral Implantologists and the American Academy of Periodontology. He has published original research in the Journal of Periodontology, International Journal of Periodontics and Restorative Dentistry, Implant Dentistry, Journal of Dental Research, Journal of Pharmacology and Experimental Therapeutics, Journal of International Dentistry and the Journal of Implant and Advanced Clinical Dentistry on recession grafting surgery and bone regeneration. 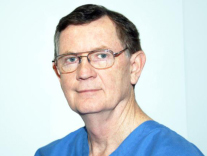 Dr. Wallace presents lectures for professional groups, teaching institutions and national professional meetings. Recognize how to predict and avoid soft tissue complications around implants. EW: FURCATION TREATMENT TO CLOSE FURCATIONS WITH NEW BONE! Understand key principles of bone metabolism. Understand the effects and advantages in bone grafting of using GEM 21(platelet derived growth factor), PRGF (platelet-rich growth factor) and INFUSE (rhBMP-2). Understand the key biologic width of bone adjacent to implants and how to achieve it with allografts and harvested bone. Learn how to use MUCOGRAFT and MUCOGRAFT SEAL in vertical augmentation and socket preservation. Observe the soft tissue changes with acellular dermis in augmenting sites before and after implant placement. Understand how acellular dermis is used to repair soft tissue dehiscence adjacent to implants. See why CT scans are now the standard of care. Recognize the prevalence of recession defects in dental practice populations. Review anatomy, biology and blood supply of gingival soft tissue. Diagnose and treatment plan soft tissue grafts to achieve predictable results, enabling you to start treating recession immediately. Describe where and how to use acellular dermis to treat recession sites gaining root coverage and generating reattachment. Note the less complicated technique compared to “PinholeHole” ans tunneling. Observe live surgery videos of single-site and multiple-site soft tissue surgery techniques. Observe live surgery videos of single-site and multiple-site soft tissue surgery techniques. Learn the key principles in flap design, acellular dermis placement and soft tissue suturing with hands-on soft tissue model surgery. Learn the steps in treating multiple recession sites in a single surgical visit. Be able to anticipate and prevent complications in soft tissue grafting to treat recession. Learn specific techniques for management of graft healing complications with oral and topical antibiotic therapy. Learn the critical keys to augmenting implant sites with acellular dermis. Understand the value of platelet-rich growth factors and Emdogain in root coverage grafting and soft tissue reattachment. Course is limited to 25 attendees. The course is 9 AM to 5 PM and includes: continental breakfast, lunch, Powerpoint print-out course manual, hands-on models, for graft placement and flap design technique, surgery videos, and certificate of attendance for 7 hours PACE/AGD C.E. credits. Tuition: $1650 for Doctors, $250 for Auxiliaries. This entry was posted by Implant Admin on March 3, 2016 at 11:05 am under Uncategorized. You can leave a response, or trackback from your own site. Follow any responses to this entry through the RSS 2.0 feed.